Arts Programming for the Anthropocene: Art in Community and Environment is available now! 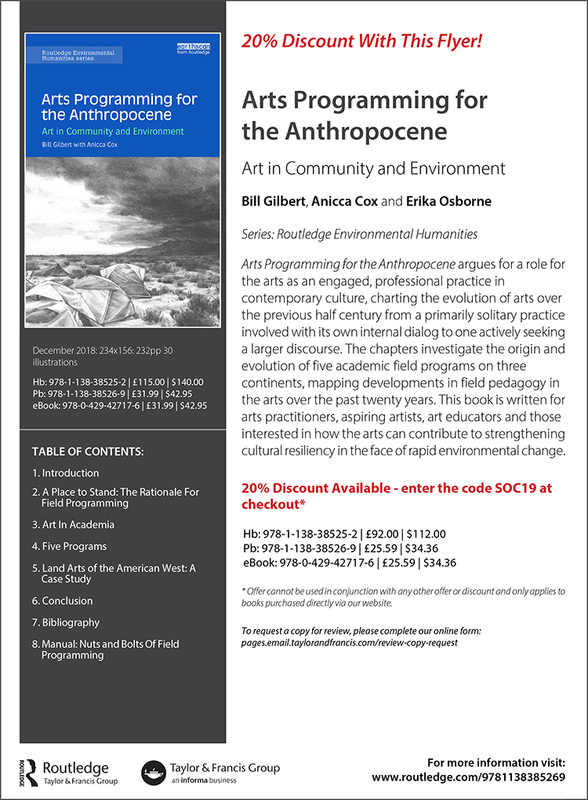 I am so excited to announce that Arts Programming for the Anthropocene: Art in Community and Environment is available now from Routledge Press! I have worked on this book project for the past few years as a contributing author and as the books illustrator. The book charts the paths of five field-based arts programs in the U.S., Europe and Australia, making a case for a shift in current arts education pedagogy to a more community-based and environmentally-focused model.